As a general rule solicitors engage barristers to undertake specialized work for their clients. This often requires briefing the barrister to appear at the hearing. In many a barrister’s costs agreement you may find the right to charge a cancellation fee if the hearing does not proceed, especially with more senior barristers, whose daily rate can be from $8,000 per day upwards and the cancellation fee can be for several hearing days on which the hearing was allocated. There is some logic to such claims. The barrister locks out the dates for the hearing and prepares the matter for a hearing that may last several days or weeks, only to find, that the hearing itself is cancelled because the matter is resolved. The barrister has no work in his diary so then claims the cancellation fee, not just for one day but for several days, which can amount to tens of thousands of dollars. As the barrister’s retainer is usually with the solicitor the solicitor must leverage the fee from client. Notwithstanding the barrister charges at his rate for preparing the matter should he be entitled to claim a cancellation fee for one or more days if the trial does not go a-head considering he is charging a fee for not actually doing anything? If a barrister is engaged it is prudent to clarify in what circumstances exactly will the barrister charge a cancellation fee, because the agreement is like any other contract on which the terms can be enforced, though the terms are subject to the Legal Profession Act and its successor the Legal Profession Uniform Law. Further, what is the situation with a party attempting to sheet home a cancellation fee to the other party to the litigation when the first party has the benefit of a costs order against the other party? For example, a hearing is vacated on a defendant’s application and an order is made that the defendant is liable to pay the plaintiff’s costs thrown away by the adjournment. Can the plaintiff claim the barrister’s cancellation fee from the other side? Is it fair and reasonable that whilst the defendant may be liable to pay for the cancellation fee (even if just one day), the plaintiff who has no control over the barrister’s agreement should be liable to pay for the cancellation fee? There is no clear authority. 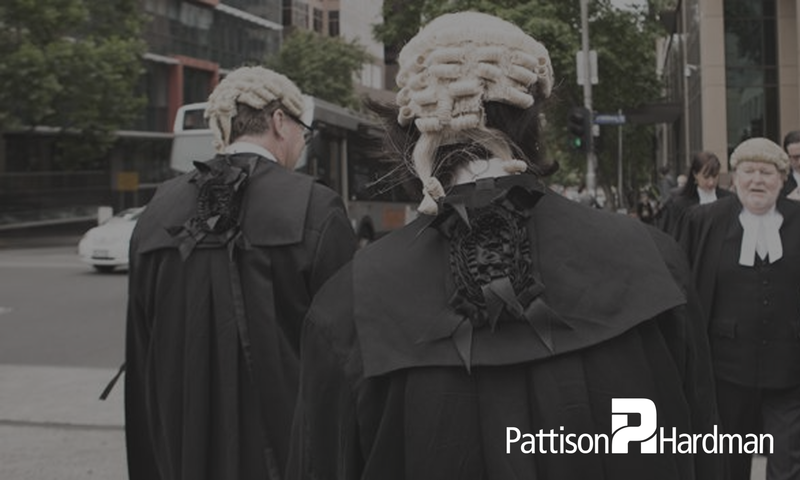 There is enough guidance to suggest that the courts and assessors are likely to look closely at claims for cancellation fees and more likely to limit such claims on a party party basis to one day and not for the entire hearing. However this view was also in conflict with decisions that found that despite a matter settling it should not deprive a party from the costs properly payable to counsel for his costs in ‘mastering the brief’. Nothing in this judgment should be taken as a general proposition that all counsel in all cases can reasonably and justly charge cancellation fees. Usually and for most counsel, cancellation fees would be unjustifiable. This judgment deals only with this appeal, relating as it does to senior counsel engaged “on spec” in particularly specialised work for which the lead time is lengthy and during which he has foregone other paid court work. This statement is instructive how a court will look at cancellation fees, that is unlikely to uphold cancellation fees especially on a party/party basis. Further support has recently come ‘Cost Assessment Rules Committee – Guideline ‘Costs payable between parties under Court Orders’ dated 16 March 2016. Footnote 7, to the Guideline states ‘cancellation fees, over and beyond the first day of a brief hearing should not be allowed’. Though each case will turn on its own particular facts and the terms of the agreement it is likely that on a practitioner/practitioner basis the barrister may argue recovery of cancellation fees if he can demonstrate clear communication, the circumstances surrounding his retainer, such as doing the work on a speculative basis and whether counsel could or has obtained a new brief to cover such loss of work. It is always advisable to clearly communicate with counsel on the terms of their retainer especially with cancellation fees as if such fees are claimed a client is likely to feel aggrieved if he ultimately must pay for a service which never actual takes place. Both the Legal Profession Act (at s310) and the Legal Profession Uniform Law (at s175) require a solicitor, prior to the engagement of another law practice, which includes a barrister, to disclose to their client the details of the engagement as specified in s309 and s174 respectively. This should include any cancellation fees sought to be levied by the barrister in their cost agreement. Problems have often occurred under the Legal Profession Act where a client has retrospectively applied for an assessment of their solicitor client costs where the barrister has claimed and been paid cancellation fees. It has often been found by an assessor that the client is not liable for cancellation fees (perhaps owing to a failure by the solicitor to properly disclose under s310, by reference to Commissioner of Australian and Federal Police v Razzi or absent a “Blyth” warning) resulting in the solicitor being left “holding the baby” and having to pay the client back out of their own pocket for the fees paid to the barrister. This issue was compounded by the time limitations placed on applying for assessment between law practices (60 days) and between a client and his solicitor (12 months) meaning the solicitor often had no recourse to testing the reasonableness of the cancellation fee on assessment with the barrister. Thankfully, this timing anomaly has been rectified in the Uniform Law. He says [at 5.34] “it stands to reason that a cancellation fee is an unusual expense that requires a detailed Blyth warning, especially to an inexperienced client. Finally if a barrister is claiming a cancellation fee, perhaps invite him or her down to the office to do some work since they are not in court and getting paid for doing nothing!